Nylatron® LIG combines the toughness of cast PA6 with an oil-based lubricant that is encapsulated within the nylon matrix. It increases the load bearing performance of the material when compared to unfilled nylons and reduces the coefficient of friction. 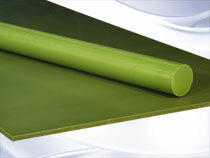 It is an ideal material for industrial application.